The Economy, Insurance, Road Tax And Running Cost's Of This Car Will Be Well Appreciated After Brexit. What Can I Say, Its An Absolute Pleasure To Drive, Superb Colour Combination White And Silver. 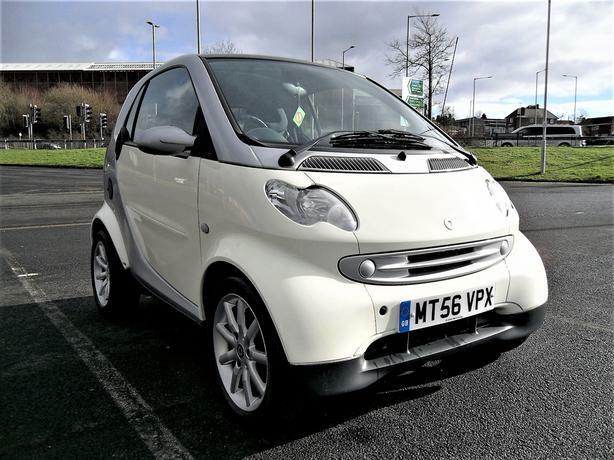 Only 698cc Very Economical, Cheap Insurance, Only £30 TAX For The Year. Only 64k From New, 11 Months MOT, Beautiful Condition Inside And Out. Drives Like A Dream, Very Nippy. Automatic And Tiptronic, Very Quiet Engine As You Would Expect From Mercedes Benz, Smooth Gear Changes, Everything Works As It Should, I Have Just Fully Serviced It. Electric Windows, Panoramic complete glass roof. AC, Power Steering, Radio Cd Player, Alloy Wheels Like New, Beautiful Grey Colour Interior Like New, Remote Central Locking, Alarm, 4 X Almost New Tyres, Very Economical Only £25 Full Tank Of Fuel, Very Open And Roomy Inside, Its For 2 People And Still Have Boot Space. You Will Not Be Disappointed, First To See Will Definitely Buy. All Major Credit And Debit Cards Accepted Part Exchange Welcome.